The Gucci Craft medium tote bag with GG fabric and leather trimming works marvellously with any style and will take you effortlessly from work to the weekend. The detachable pocket is a handy item for keeping keys or even as a makeup pouch. An ideal accessory for everyday use due to its lightweight feature. Ensures a stylish look any time of day or night, through business appointments, travel or play. 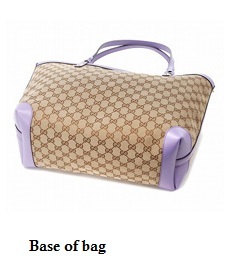 - Signature Beige/Ebony GG fabric with leather trim. 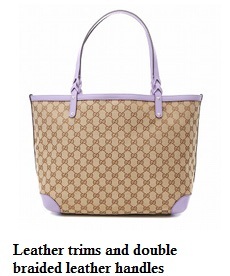 - Double braided handles made of leather. - Push lock closure and light gold-tone hardware. 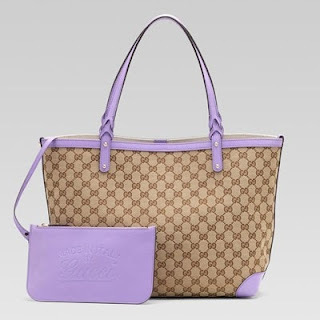 - Detachable vintage Gucci trademark logo embossed leather pocket with zipper. - Canvas lining the interior of the bag. - One slip pocket ideal for mobile phone.